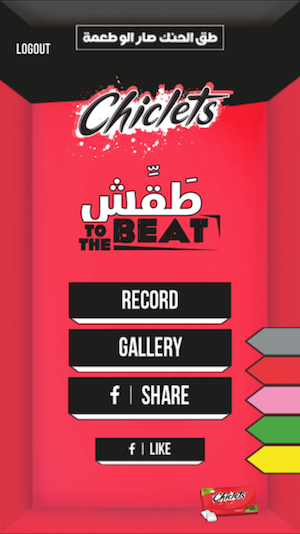 An application that runs over iOS and Android smart devices (phones and tablets) that was built for a specific campaign for Chiclets at Beirut – Lebanon. 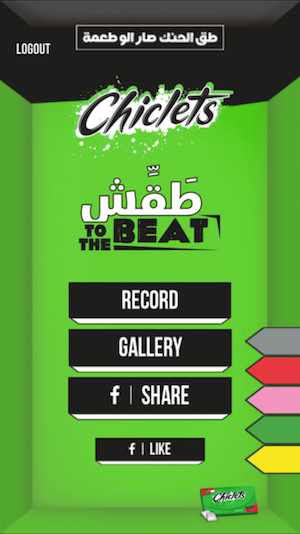 The scope was to use the game for sampling the new Chiclets flavors. 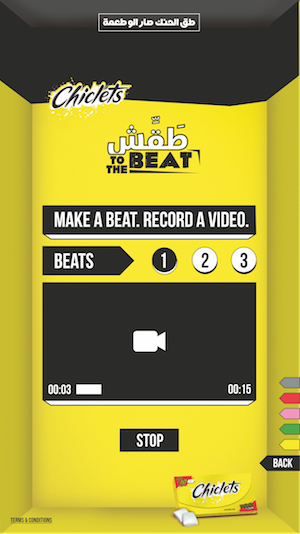 Users get to choose between three beats karaoke and record a 15 seconds long video doing actions along with the predefined beats. 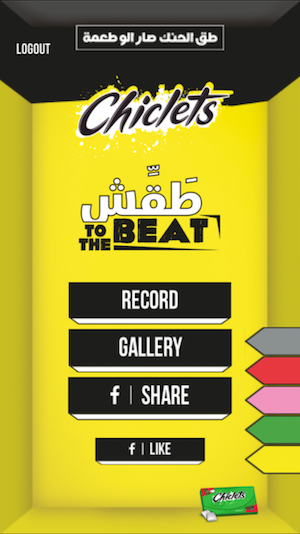 The videos were sent to the application’s admin tool which when accepted by the admins were posted on the application’s gallery as well as on Chiclets’ Facebook page which triggered a huge traffic on the brand’s Facebook page. The videos with the biggest number of votes (likes) were awarded by the brand. An on-ground experience was running with the exact same application in parallel with the application release on the Appstore and Playstore.